Last week I went to see Selma with my daughter, daughter-in-law and granddaughter, and perhaps I will write about that experience one day. This week, the news is that Obama is going to be here to mark the 50th Anniversary of the Selma to Montgomery March. I drive by the memorial in honor of Viola Liuzzo very, very regularly. And on my way into town to do my grocery shopping most weeks, I read the signs that mark the places where the marchers stopped to camp out and sleep along the way, 50 years ago. I’ve written and preached elsewhere about my own efforts to live with the truth of how intractable and complex race issues are in our country. It seems like the most faithful, honest thing I can do for now is live with the tension and profound un-easy-ness of constant, mostly silent, reminders all around me of profound human brokenness. It is hard to fight the impulse to try to figure out a way to “fix it”—such arrogance on my part! I went to Eucharist at Church of the Good Shepherd in Montgomery this morning. 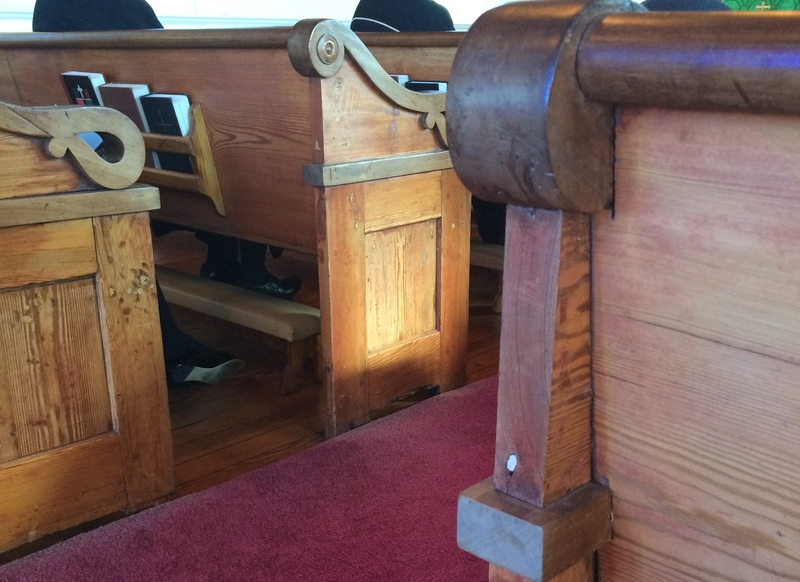 Good Shepherd is a traditionally African American parish and I sat in a pew made by former slaves. Here, as at St. Paul’s in Lowndesboro, I was acutely, almost painfully, aware of the weight of history. I was also aware of how comforted and nurtured I was by the music we sang from Lift Every Voice and Sing, a hymnal of the Episcopal Church that collects the traditional hymns and sacred music of the African American community. I have been in need of kindness this week, and the music and people at Good Shepherd were just that—kind. I sat in the same pew as a beautiful little girl named Genesis who smiled shyly and was as curious about me as Ella, who is another absolutely precious little girl I have come to know at St. Paul’s. And I prayed for my own daughter, Maria, who, even as an 18-year-old, has that same kind of inquisitiveness in her eyes. I am the white mother of a young woman of color. The history of her people is different, but also marked by enslavement and suffering. When we adopted Maria, she received a whole lot of beautiful—and blond and blue-eyed—dolls. 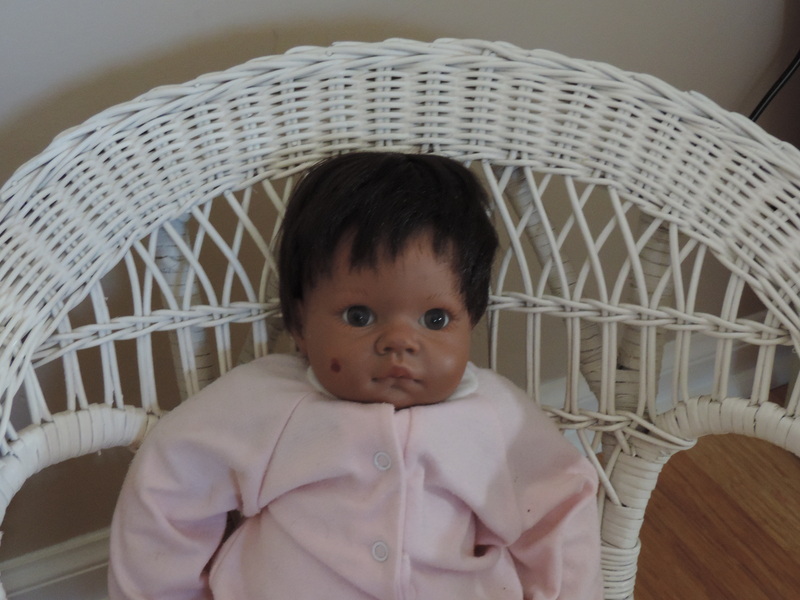 At the time, I still had my fancy job at FedEx and FAO Schwarz had a store close to our house in Ft Lauderdale so I was able to afford to buy a doll that looked like her. Maria loved Baby fiercely during her childhood and as she moved into adolescence, put her aside. She did not want to take her to BARC or TDC and I am still secretly thankful because her decisions continue to allow me to stop and look at Baby, and even lift her into my arms, whenever I find myself aching for my girl. For reasons that have nothing to do with the color of her skin or her ethnic background, I have had to learn, stumble, stand up, forgive, and try again to learn how to love my child. I no longer even pray to get it right—I just pray for the strength to never, ever quit on her or my own capacity to learn some more about love. None of that work has been easy. It is also the most beautiful, meaningful and important work I have done in my life and it has drawn me deeper into God’s love in ways I can’t even begin to describe. This beautiful post brings tears to my eyes, Rosa. Thank you for the gift of your presence this morning at Good Shepherd, Montgomery. And, I know exactly what you mean = the “amazing new way of faith” that one can discover right here. It was a similar discovery that I myself made when a part of the Church of the Good Shepherd on Roosevelt Island, NYC, years ago. It had a profound impact upon me. Still does. Blessings and peace, dear friend.